with the help of two extraordinary websites, i would like to take you back to the pleasure quarter of montmartre, the yoshiwara of paris. i feel drawn to the people, those side-liners who represented a working class aching for and gaining some personal liberties and leisure time with which to mingle with the swells and the song-and-dancers in what became one of the first venues where classes met and mixed, and only sometimes for money changing hands. there has always seemed to me something more comfortable about unrefined folk; in high school i always said i yearned for squalor, and talked in the 'dead-end-kids' jargon. and even the greaser kids, the ones that went to viet nam right after high school, asked me to teach them how to dance. but in the bohemian, artistic, rebellious fin-de siecle the times still echo in our times today; strikes were rampant, the taste of freedom creating the craving for more. 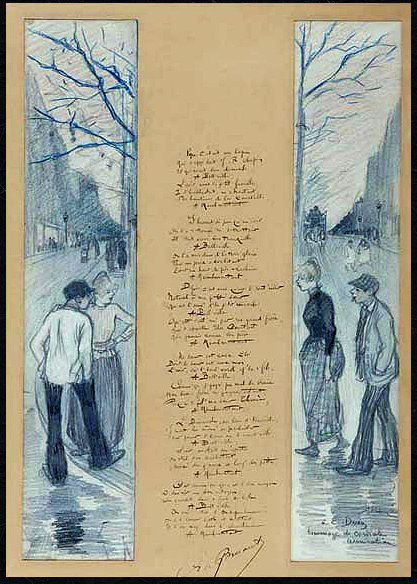 Montmartre's remote location and inexpensive lodgings contributed to its transformation into a primarily working-class neighborhood in the second half of the nineteenth century. Known for its revolutionary politics and underground culture, its liberal reputation lured students, writers, musicians, and artists to the area in the early 1880s. * the geographical division of classes sent the upper class scurrying to the outskirts, looking for the women and wine, for the sin they likely couldn't find at home. i guess that, despite privilege, the follies of the bourgeoisie never fooled me. as the monocled stuffed-shirts ogled the can-can dancers, so the husbands of my parents' friends ogled us hippies. nobody had all the answers (though both sides thought they did) (of course), but one side had less to protect and appeared to have more fun. 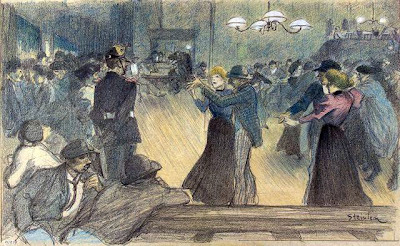 By the last quarter of the nineteenth century, the appeal of the cabarets and café-concerts extended well beyond the borders of Montmartre. 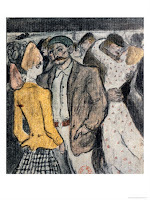 Its performance halls provided a rare opportunity for the mixing of social classes, particularly between bourgeois men and working-class women, whose interactions were often based on prostitution. The blurring of class boundaries contributed to Montmartre's reputation as a place for escape, pleasure, entertainment, and sexual freedom. just like what happened with the hippies too. the two sites i referred to up top are the always valuable Heilbrunn Timeline of Art History in italics with asterisk. 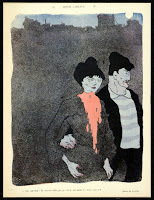 * the second is an amazing compendium of theophile steinlen's work. i have never seen anything as comprehensive. Nice acquatint by C.Martin, sad and gaunt. The Lautrec canvas of the couple drinking has always been a favorite of mine. The colors and deft rendering of the figures and his amazing ability to capture a pose through gesture--happy to see it again. 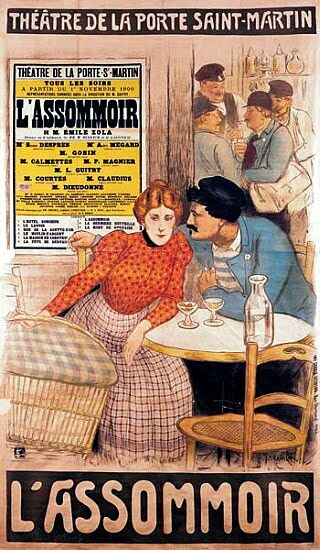 The last one, the young woman with the glass of absinthe? is just too depressing. Are we too already so empty? don't you think we often balance on that edge between empty and filled? though i do think that age has brought me over the edge with its inherent permission to define for yourself what is fullfilling. don't you adore that martin?! there's another i ran with this one in a previous post. if i'm remembering correctly, they're from 'la rire' but other than these two i just couldn't find anything so rich. so much, so little, so japanese. yes, it's sad, but was there a requirement? if so, for what? look at the similarities between the degas, the lautrec, and the last steinlen. are there more out there? I have often wished for a time machine to go back to certain eras which fascinate me - the fin du siecle is one of those eras. I would have loved to have been another Mary Cassat, with an independent income and smart enough not to get involved with any of the destructive men in the neighborhood. I would want to be close enough to enjoy the creativity but not so close as to be burned. But then, I often fantasize about having my own time machine and whizzing back in history, watching the passing parade but not doing anything foolish like drinking the water or having to turn tricks to make a living. sounds like a good rule to live by, nancy! i always wonder about how life would have been for a woman -- even an independently wealthy one. colette may have been a good example, but i think it would have been just beyond tolerable for me. 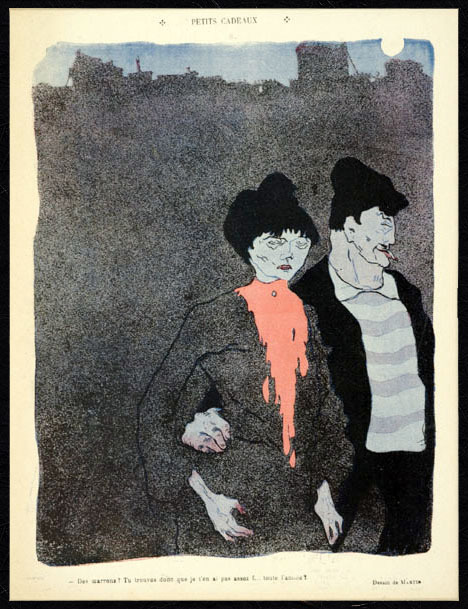 I think that the fin du siecle was difficult for most women artists (but then, when is it not?) I think that life was pretty difficult for Berte Morrisot. 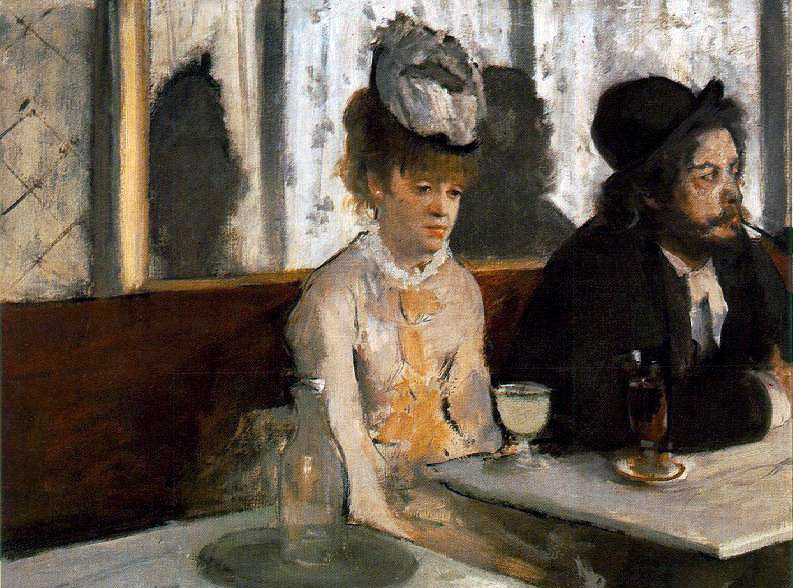 She had a critical, almost hostile mother and was in love with Manet - a love which could not be consummated as he was married and she was not only unmarried but a member of the very upper class so always very strictly chaperoned. Given that Manet died of syphilis, I'm glad that they never consummated their love. I think that Mary Cassat was probably the happiest of the women painters of that period - independently wealthy, very strong minded and completely sure of what she wanted to do. There were no tragic love affairs in her life! But being recognized professionally was a struggle. When I read the biography on her (can't remember the author), I didn't get the feeling that she loved the brother as much as she loved Manet but settled for second best. However, she adored her daughter and I think that was her real compensation. But the lot of women who were either artists or companions of artists was not a good one; have you read "Olympia" about Manet's model? edgar & mary had a 40 year relationship. 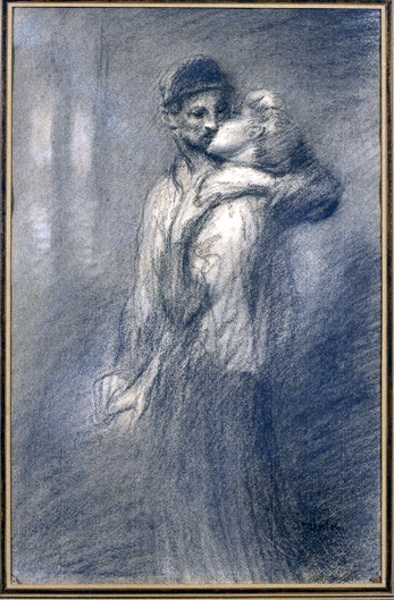 some say as lovers, some say that would have been impossible because degas was such a misogynist! he was also an anti-semite and a generally unpleasant guy. renoir said of him, "What a creature he was, that Degas! All his friends had to leave him; I was one of the last to go, but even I couldn't stay till the end." so you had been talking about what a wonderful life free mary had had, and i pose the question, "what about edgar?" Cassatt was, as were many of her class, bound by the prejudices of that class. But there's a telling quote (pg 111) in her bio by Nancy Hale. When asked how she got on with Degas, Cassatt replied "Oh, I am independent. I can live alone and I love to work..it made him furious that he could not fin a chink in my armor, and there would be months when we just could not see each other." She also adds that Mary was not interested in being a woman with Degas, any more than she was interested in being a wife or mother. 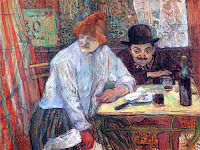 I don't think there's such a thing as complete freedom but within the constraints of the time, Cassatt was free. oh! thanks for that, nancy! that's really interesting, and makes thinking about the whole era more interesting too! This has been a fun conversation where we roamed far and wide, riffing on freedom, fin du siecle, the Bohemian world and what freedom means - then and now. Thanks for sparking such a great dialogue; may 2012 give us many more such opportunities. that's very interesting, and informative. thanks, musings. any chance she was gay?